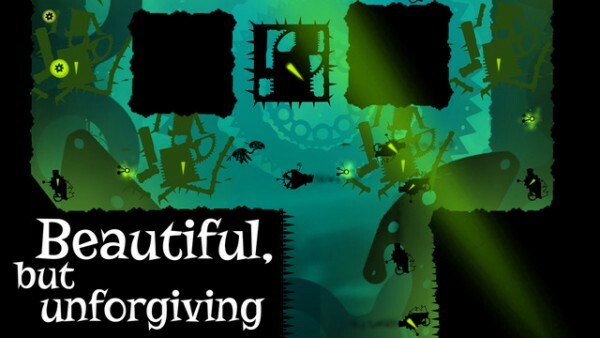 Green Game TimeSwapper ($2.99) by iFun4all is the continuation of the cult classic, Red Game Without A Great Name. If you enjoy a challenging puzzle game that will make you think hard, then you’re going to love what Green Game TimeSwapper brings to the table (it also doesn’t hurt to check out the original that started it all). Even though I love to game in my spare time on the dedicated consoles and handhelds that I’ve bought in the past, I spend much more time playing games on my iPhone 6s Plus lately. It’s just way more convenient for me when I am on-the-go, and hey, I get a huge variety of puzzles to choose from, which happen to be one of my favorite genres. I did play the original Red Game Without A Great Name last year, but I did not beat it quite yet. However, while you may get the most out of Green Game TimeSwapper if you finished Red Game Without A Great Name, it is not crucial to enjoying TimeSwapper, as it is fine as a standalone game too (plus there are hints for a third game as well, so stay tuned). Visually, Green Game TimeSwapper has the same kind of unique art style that was found in the original game. The world is completely done in a two-tone fashion: the black silhouettes for the level layout, including obstacles, as well as the mechanical bird that you’ll be controlling. 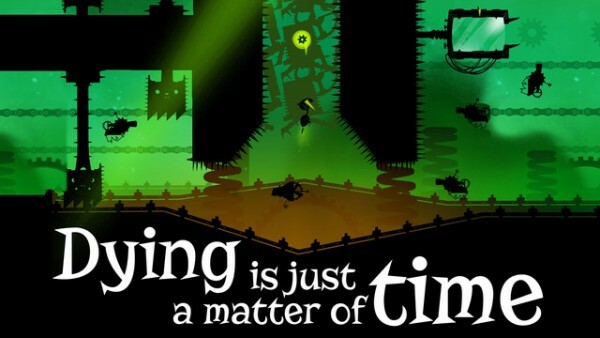 The background sports a lot of green and shadows of clock gears, which represents the ability of changing time in this game. A green spotlight on the screen indicates the time frame that you’re currently in, and it serves as a crucial element to getting through the game successfully. Animations in Green Game TimeSwapper are fairly smooth and fluid, though it does feel a bit abrupt once your bird changes flight direction due to steam or some other objects, but it’s not a big deal. The jazzy soundtrack is rather upbeat and quirky as well, adding to the overall charm of the title. If you enjoyed the visual and audio package of Red Game Without A Great Name, then Green Game TimeSwapper will make you feel right at home. Even if you’ve not played the first game, this one is still enjoyable in both the graphics and audio. 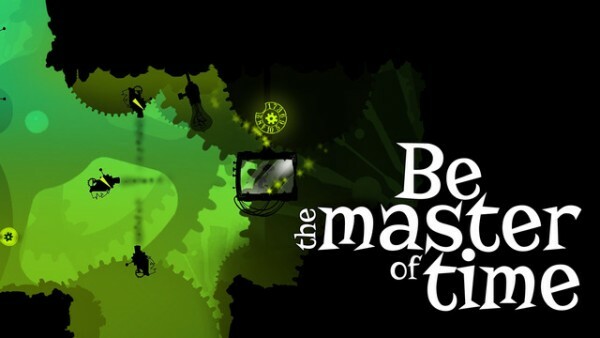 As with other puzzle games, Green Game TimeSwapper features five different chapters that contain 10 levels each, with a total of 50 stages to manipulate time and fly through. 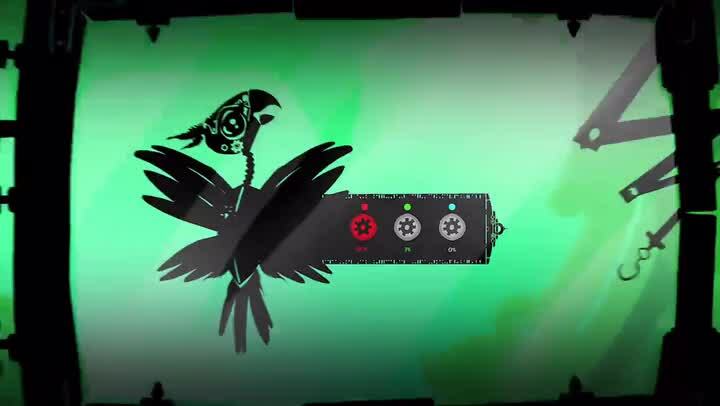 In Green Game TimeSwapper, the mechanical bird that gained knowledge of the red steampunk world in Red Game Without A Great Name has been intercepted and modified by the chief scientist in the mechanical green world. The mechanical bird hero will gain new powers over the course of the game, which will be incredibly handy as new obstacles and challenges pop up. 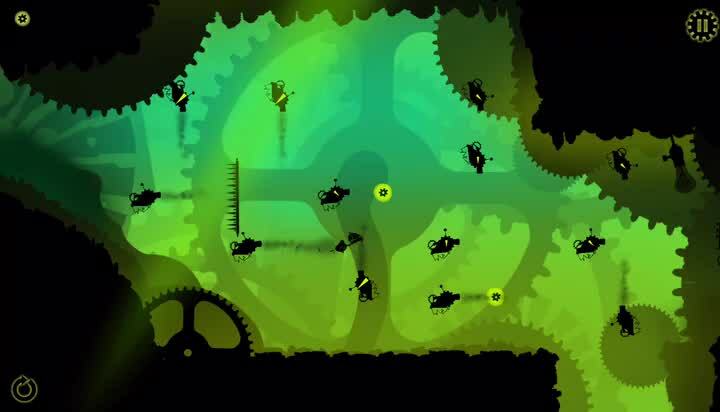 The objective of each stage will be to guide the bird across a series of obstacles while collecting all three of the gear pieces, and getting to the clear box that is somewhere on the level. Each puzzle can have multiple solutions, since you can even complete it by just picking up one gear, but the optimal solution involves getting all of them. Dying is common in this game (as with the original), and you’ll have to plan your route carefully to succeed. 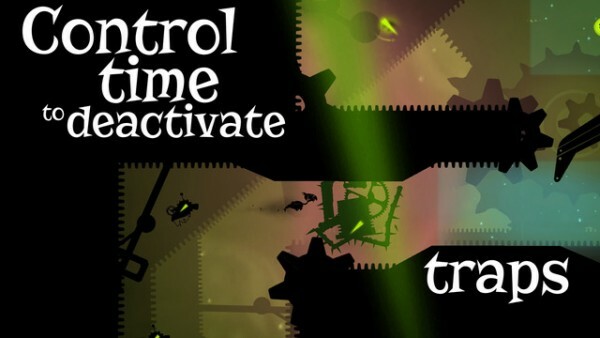 The control scheme in Green Game TimeSwapper are simple. Just swipe horizontally to get the mechanical bird to fly forward. Then, as you approach objects like steam generators, you’ll notice a bright green clock hand on it. 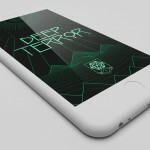 These objects, along with traps, can be enabled or disabled by manipulating time, which is done by swiping horizontally along the screen as your bird is flying. 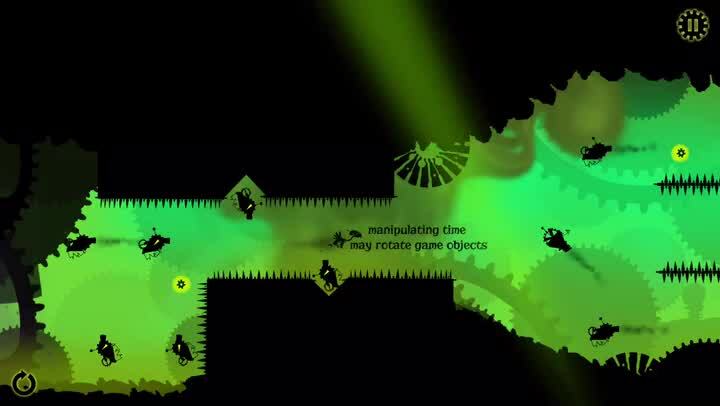 When the green spotlight matches up with an object, it will be activated, and the steam changes your flight direction. Even though the controls are rather easy and intuitive, the real challenge of the game is knowing when to activate a generator and disabling traps. Timing and reflexes are everything in this game, because when you hit a wall or get caught in a trap, it means doom for your mechanical bird friend, and you have to restart. All deaths are recorded as well, in case you ever want to know how many times you’ve failed before succeeding in this rather unforgiving game. While the first few levels may seem simple enough, things do get much more complicated as you make progress in the game. Additionally, there will be power-ups that you can gather that grant you things like immortality, slow flight, and more. Whenever you see a power-up item, make sure to make an attempt to get to it, because they can really help you out. Just like with Red Game Without A Great Name, iFun4all has succeeded in creating a unique but rather eerie game world that proves to be challenging for gamers of all skill levels. Even though I did not complete Red Game Without A Great Name, I found Green Game TimeSwapper to be an enjoyable gaming experience, even though dying can be pretty frustrating. 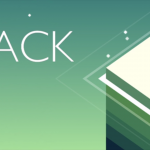 The visuals and music are stunning, and the control scheme is straightforward but still challenging to master, since the levels do get much more complicated as you go. Even though it’s a rather unforgiving game, I still think that Green Game TimeSwapper is a must for anyone who likes a good puzzle game. I recommend giving Green Game TimeSwapper a try if you like puzzles, enjoyed Red Game Without A Great Name, or just want something challenging to play this week. 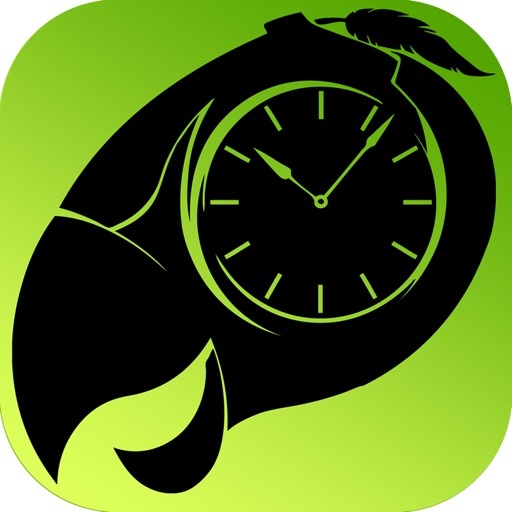 You can find Green Game TimeSwapper on the App Store as a universal download for just $2.99. 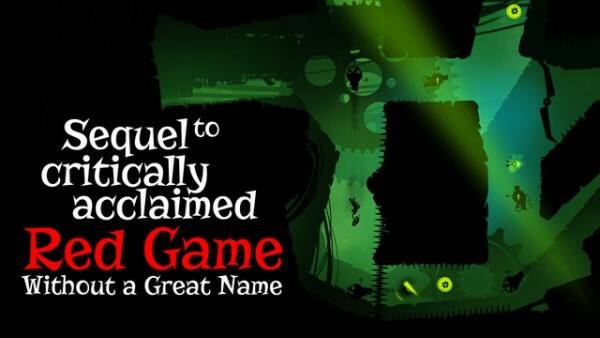 Red Game Without A Great Name is also on the App Store as a universal download for $2.99.